A report from the group "Safe Virginia Initiative" included seven policy recommendations, including a law that would require gun owners to report, within 24 hours, if a gun is lost or stolen and a measure preventing people from buying more than one handgun per month. WASHINGTON — Just a few days after Virginia Gov. 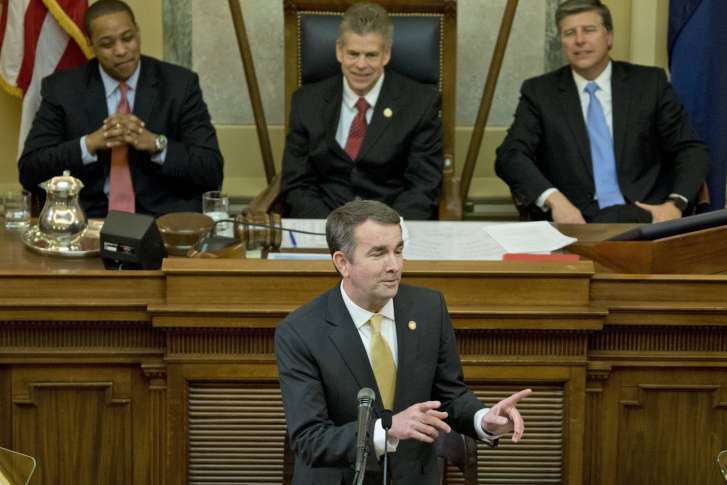 Ralph Northam promoted a series of gun-control measures, state Democratic lawmakers unveiled another legislative package focused on gun safety. A group called the “Safe Virginia Initiative,” which was organized by Virginia House Democrats, released policy recommendations Monday. The group’s report included seven policy recommendations, such as a law that would require gun owners to report, within 24 hours, if a gun is lost or stolen. “Sensible and responsible gun ownership should include reporting whenever a dangerous item in the owner’s possession can no longer be found,” the report said. Other policy goals announced by the group involved implementing universal background checks, preventing individuals from purchasing more than one handgun per month and creating stronger training requirements for people who want a concealed carry permit. The group said it wants to make it a felony to recklessly leave a loaded firearm around a child under 14. Currently, that is a misdemeanor. “Virginia has failed to ensure the safety of children from gun violence with a weak statute for adults who leave loaded guns around,” said the report. Some of the group’s ideas overlap with gun-control measures outlined by Northam Friday, including a so-called “red flag” measure to take away guns temporarily from people who are considered dangerous. Similar proposals failed previously in the Republican-controlled General Assembly and will likely face a tough road again this year. House Speaker Kirk Cox, a Republican, put together a special committee to come up with recommendations to make schools safer in the wake of deadly mass shootings. The committee, however, did not make guns its main focus, dealing mostly with emergency preparedness, security infrastructure, behavioral health resources and other areas related to school safety.